Zero-tolerance policy instituted for incitement, after violent demonstrations between leftists, nationalists see a wave of arrests. 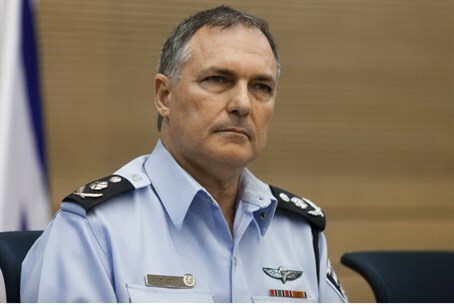 Police Commissioner Yohanan Danino made a strong statement about the ongoing clashes between leftist and nationalist demonstrators on Sunday, stressing that anti-Israel incitement will not be tolerated. "The police will not allow demonstrations, marches and protests without a legal license," he assured. "We have zero tolerance for various violations of the law with an emphasis on blocking roads, incitement of any kind, including waving banners and especially violence against police officers." So far, he said, about 800 legal cases have been expedited as a result of the tense security situation in Israel. "The system of checks and balances at this time requires keeping public safety and stability of the social order," he said. "We place the utmost importance on maintaining the strength of the Home Front Command and giving a boost to the security forces who are managing Operation Protective Edge." "The Israel Police recommends that the public continue to maintain civil obedience, as it saves lives," the police statement said. "This reinforces the efforts of police, soldiers, volunteers and other security forces, who are operating on various fronts for the success of the operation and protection of the residents of the state." Israel has seen a rise not only in general unrest, but also in clashes between opposing political sects, as Operation Protective Edge is in the full swing of a ground offensive in Gaza. Roughly 2,000 demonstrators protested - both for and against the self-defense operation - in Tel Aviv and Haifa on Saturday night. Both demonstrations resulted in interventions from riot police; thirteen people were arrested.